Taylor Dean, 19, currently makes her living creating educational animal videos on YouTube. 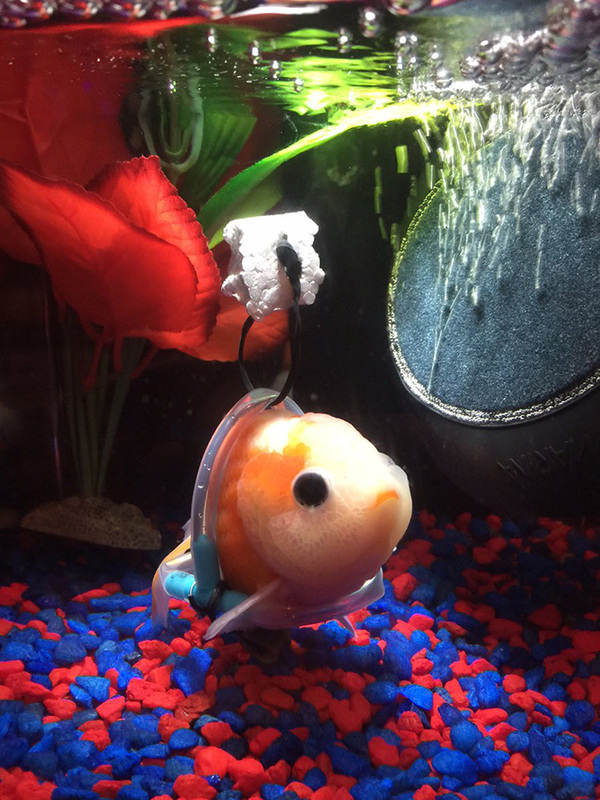 Her friend, Derek, 20, works at a local aquarium shop. 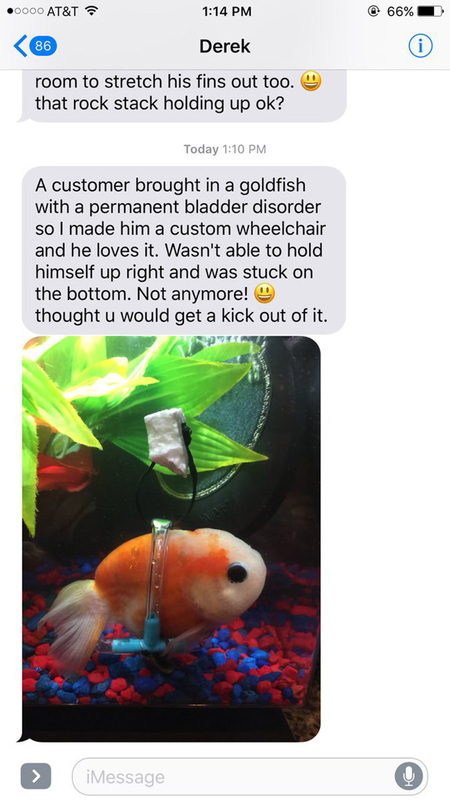 Derek told Taylor that a customer recently brought in their pet goldfish that was suffering from swim bladder disease – which prevented it from holding itself upright. Derek came up with a brilliant solution. After Derek texted Taylor about this crafty solution, she knew she had to share it with the world. 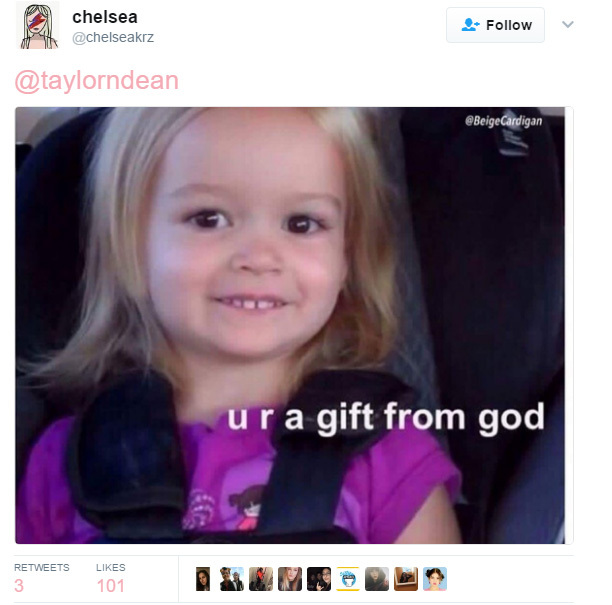 Taylor’s tweet has over 69,000 retweets so far.